So much of the writing done about the films of Wes Anderson focuses on their visuals — and with good cause. We've featured pieces on everything from the design of their settings to the symmetry of their shots to their quotation of other movies. You can't talk about the aesthetic distinctiveness of Anderson's work unless you talk about its visual distinctiveness, but you also miss out on a lot if you focus solely on that. We mustn't forget the importance of sound in all of this, and specifically the importance of music. Casual Anderson fans might here think of one kind of music before all others: the British Invasion. 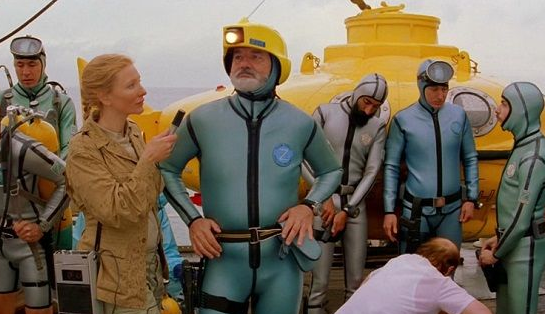 The Creation's "Making Time" in Rushmore, the Rolling Stones' "Ruby Tuesday" in The Royal Tenenbaums, and, to take the concept in as Andersonian a direction as possible, Portuguese-language covers of David Bowie songs in The Life Aquatic with Steve Zissou. Yet Anderson's projects have made use of quite a few other musical traditions besides, as you'll already know if you remember the jazz-scored short version of Bottle Rocket we featured a couple years ago. While you listen, why not read through Oscar Rickett's Vice interview with Anderson's music supervisor Randall Poster? "Wes always talks about how those guys would wear coats and ties on the cover of their records but that the music was so aggressive and rebellious," says Poster of the director's lasting penchant for the British Invasion. "I think that corresponded to [Rushmore protagonist] Max Fischer because he was this kid who, underneath it all, was looking to break through. The music speaks to his character, who is out of time with the world, and I think that’s a running theme in our movies and you can see it with M. Gustave in Grand Budapest Hotel, who is holding on to a more mannered, genteel era." And what current works of art have expressed genteel rebellion, or rebellious gentility, so well as Anderson's? So many great things on this website and you promote this racist Wes Anderson. Tells me everything i need to know about you. I think you don’t understand Wes work completely and he is also part of our culture. Intelligent people won’t be racist because of his works.